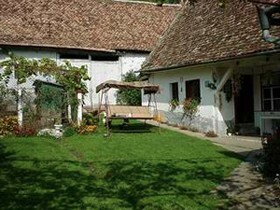 The Guesthouse Todoran is situated in the beautiful village of UNESCO village of Biertan. Perfectly located to explore the medieval citadel and enjoy the history of Tarnava Mare. Situated on the main road in the Village, the Guesthouse Todoran offers you accommodation in 3-4 rooms with 10 beds. The Guesthouse has a communal bathroom with hot water, parking in the courtyard. Local Sites include: The medieval citadel and the church of Biertan ,which is a UNESCO Heritage Site , the house of the painter Constantinescu, the villages Copsa Mare and Richis. The landscape is beautiful and the flora and fauna are very rich making it perfect base for walking.